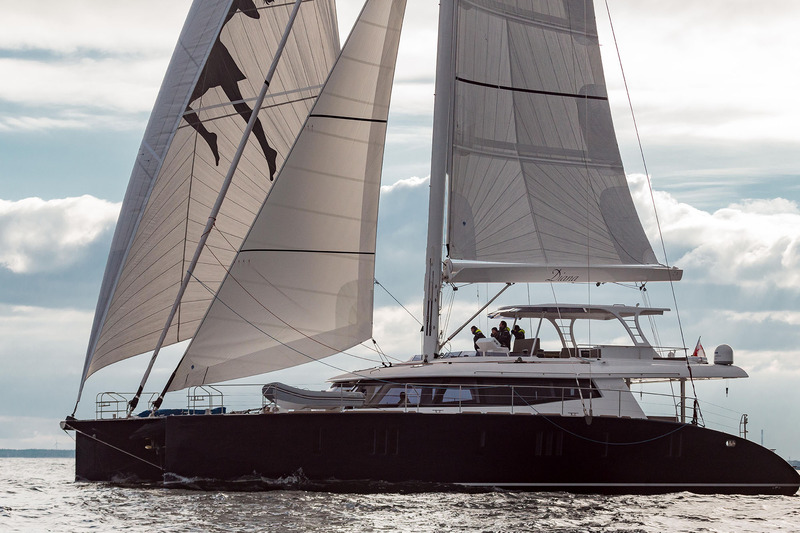 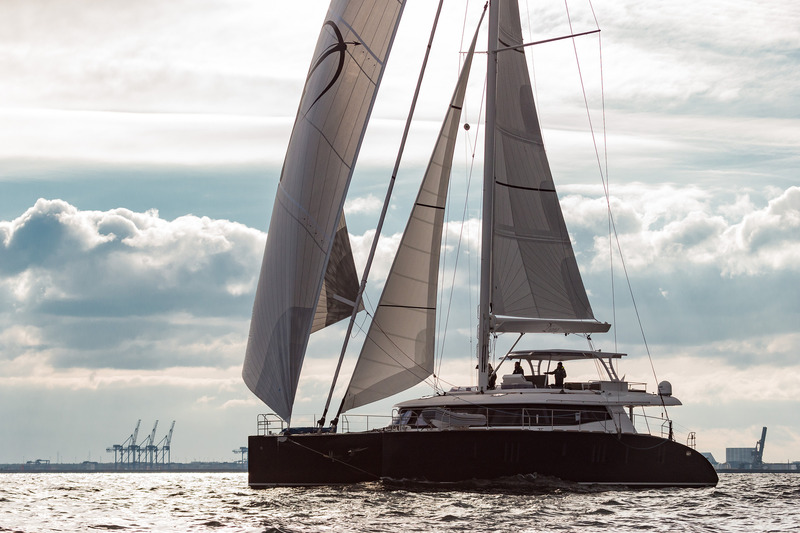 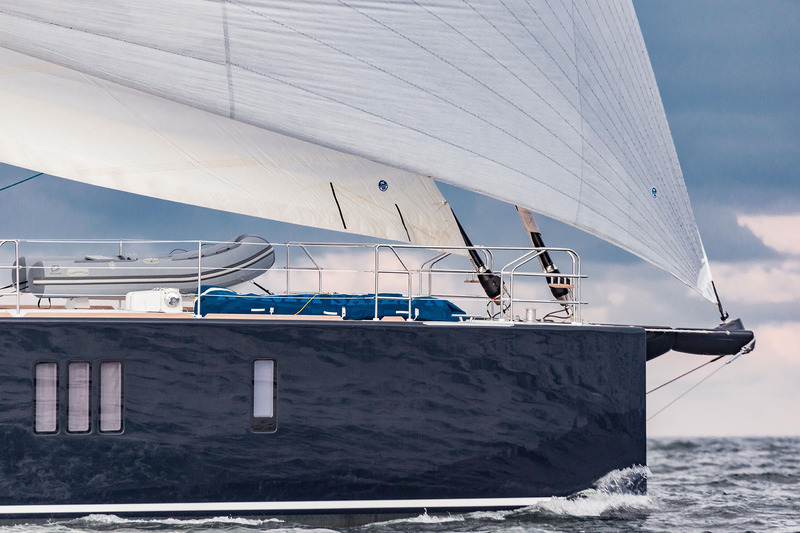 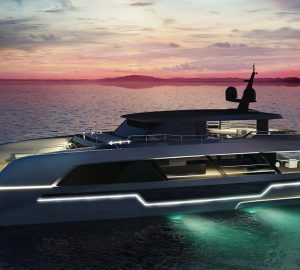 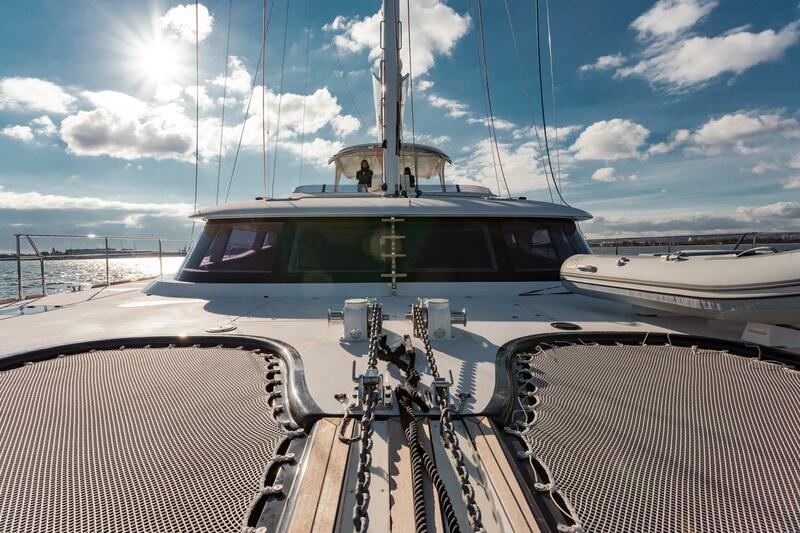 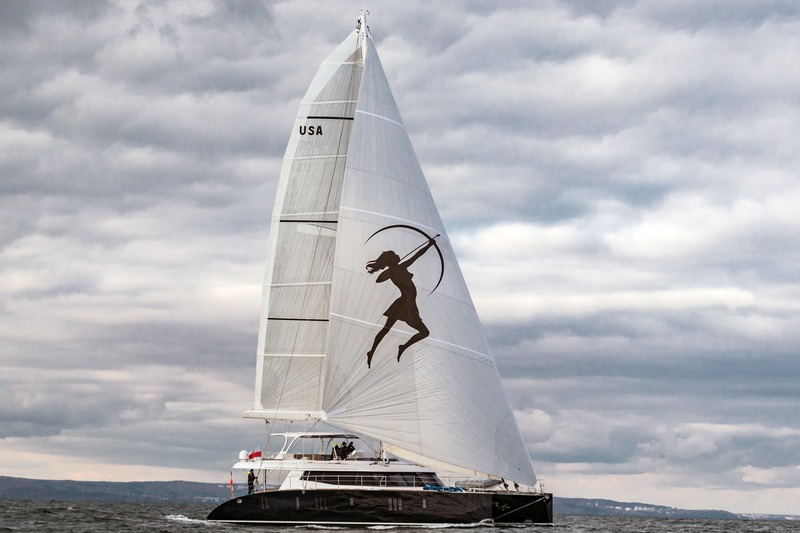 Launched in 2017, the beautiful Sunreef 74 sailing catamaran DIANA was built by the renowned Polish shipyard Sunreef Yachts and has unprecedented space for her size. 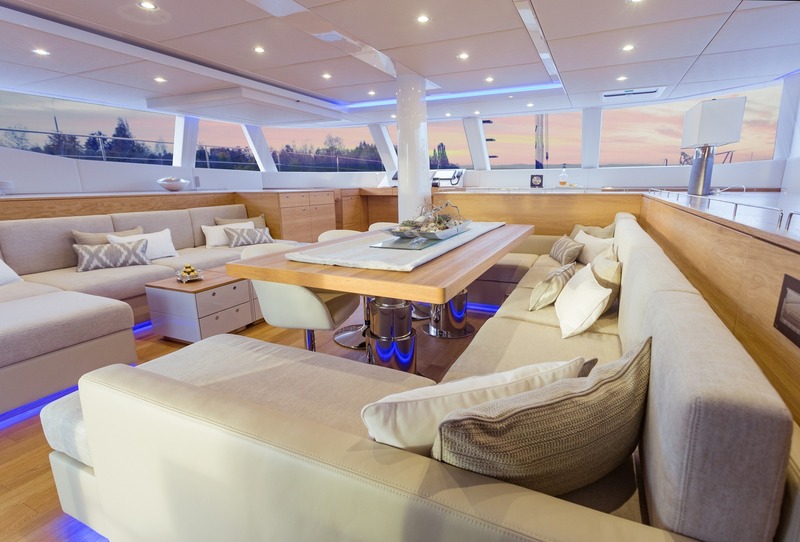 At 22.56m (74 ft) this outstanding yacht boasts great deck areas as well as lavish onboard luxury and comfort, offering accommodation to 8 charter guests in 4 cabins. 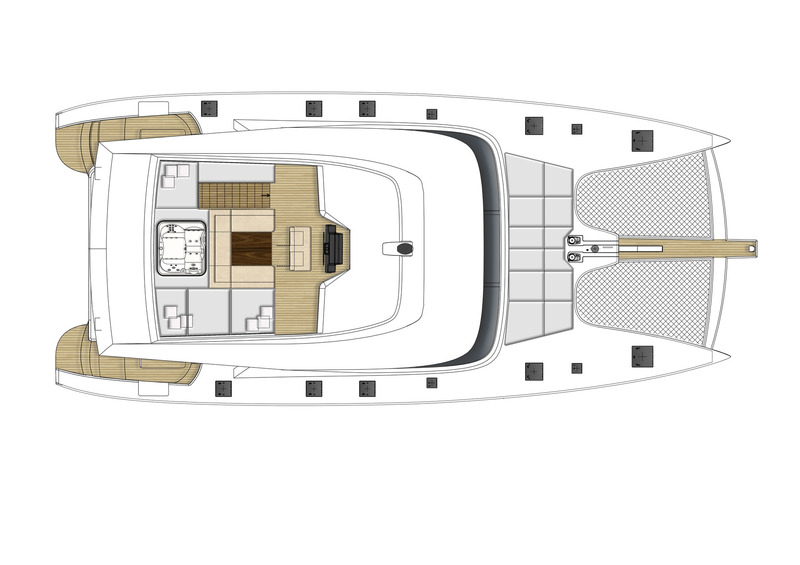 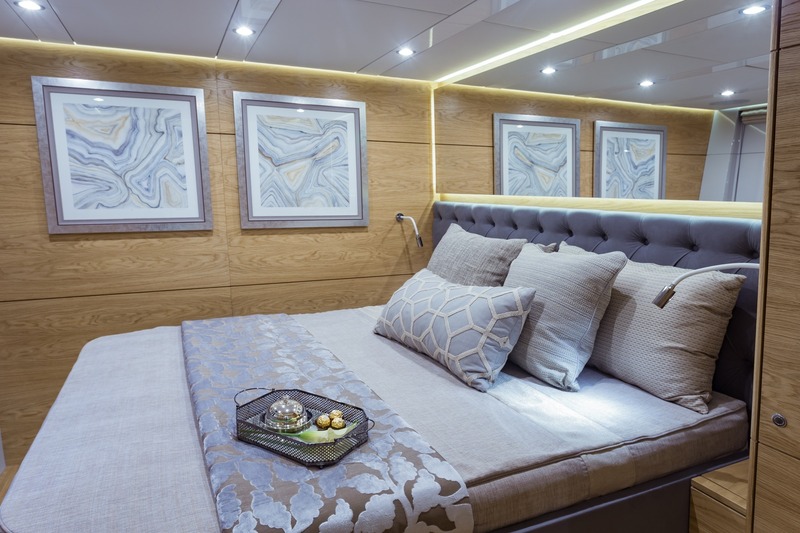 Diana offers plenty of space for guests to enjoy life onboard. 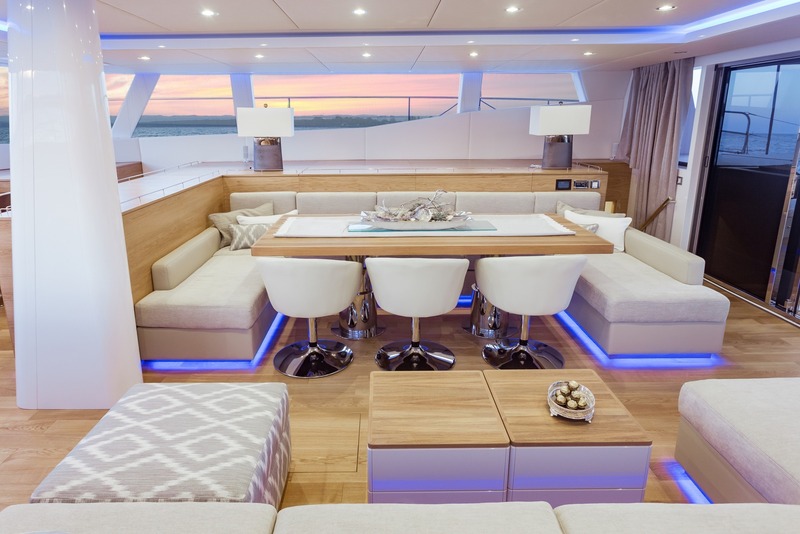 Her huge saloon comprises two spacious lounging and dining areas including a bar with panoramic views of the sea. 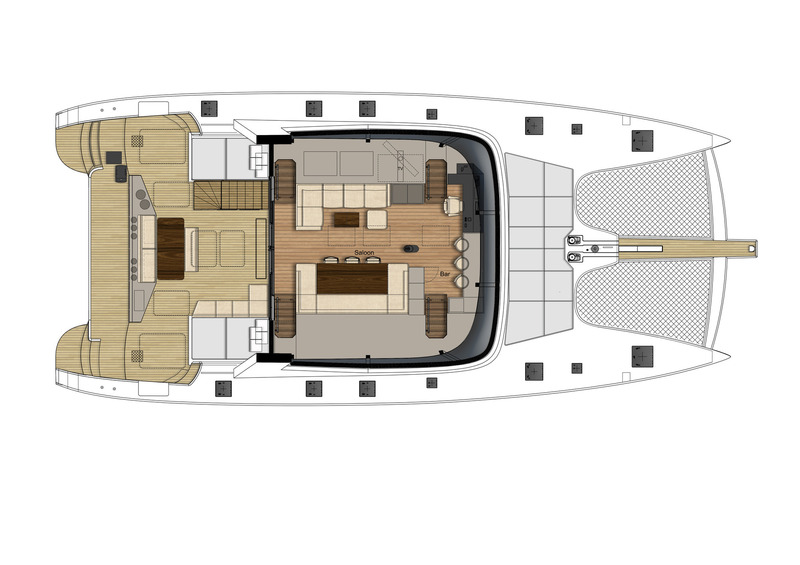 Spend long sun-drenched days on her deck relaxing on the ample selection of sun pads. 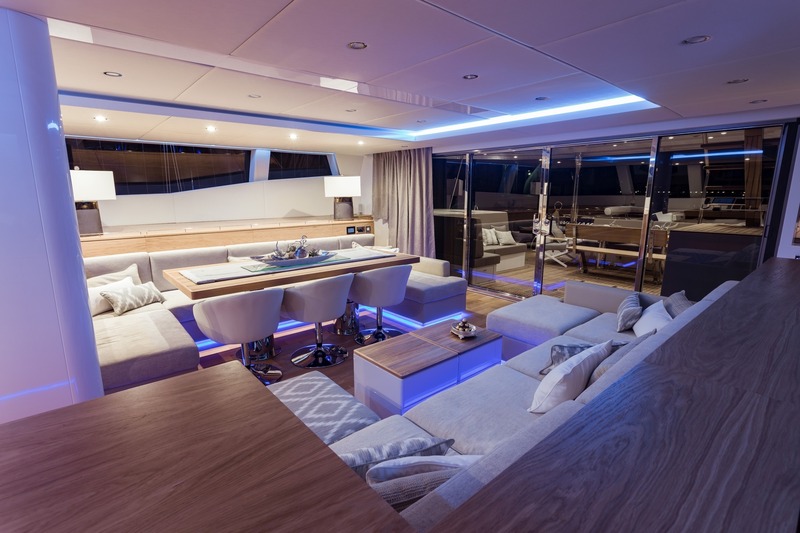 There is a plush Jacuzzi to cool off in and a shaded bar area for refreshing freshly-mixed drinks. 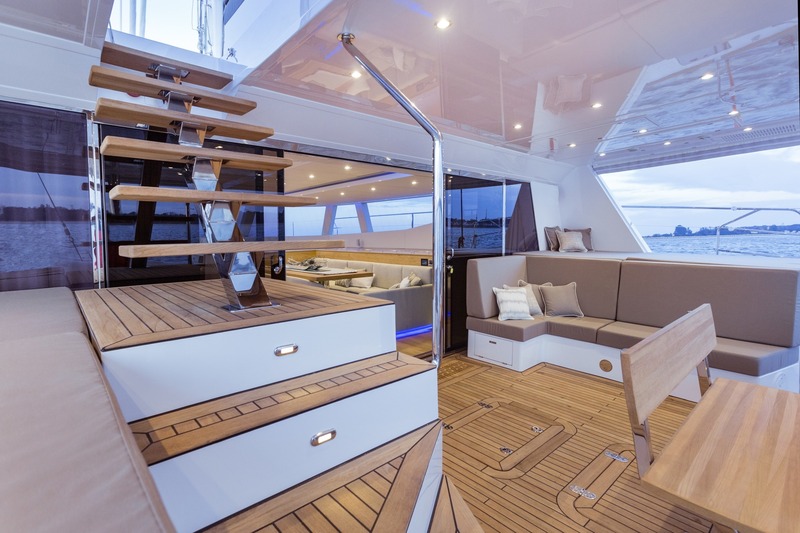 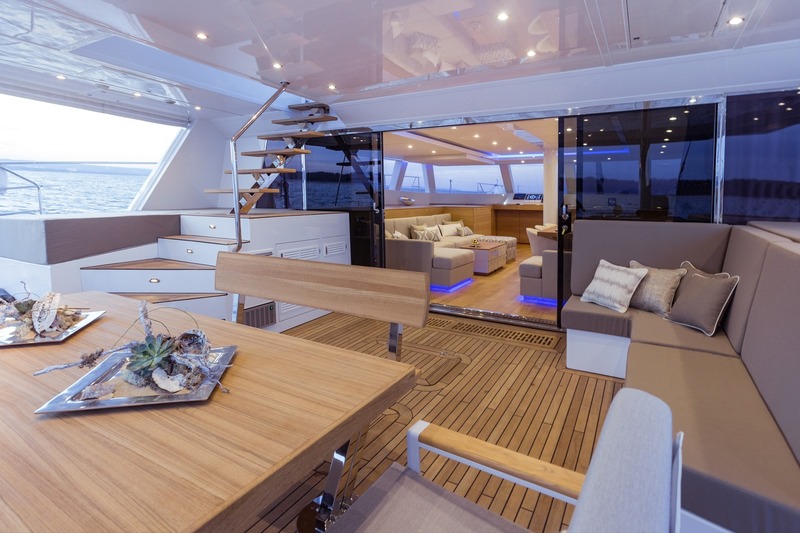 Parasols and removable awnings on the impressive sun deck shade the dining table for a relaxed lunch of fresh fish which can be grilled on the barbecue. 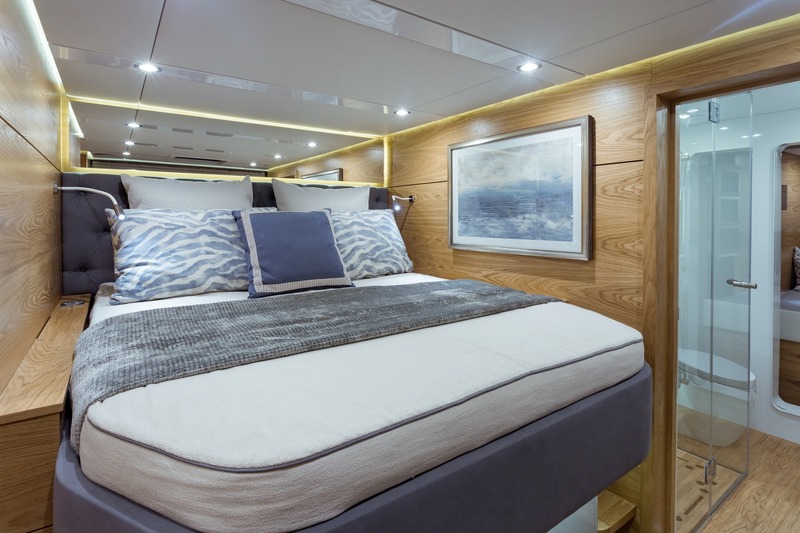 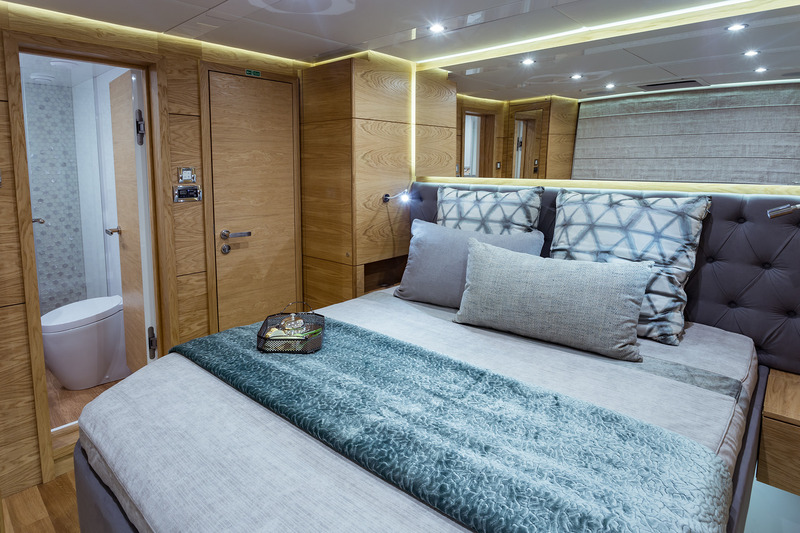 Flexible accommodation is provided in four equally-sized cabins and a master suite. 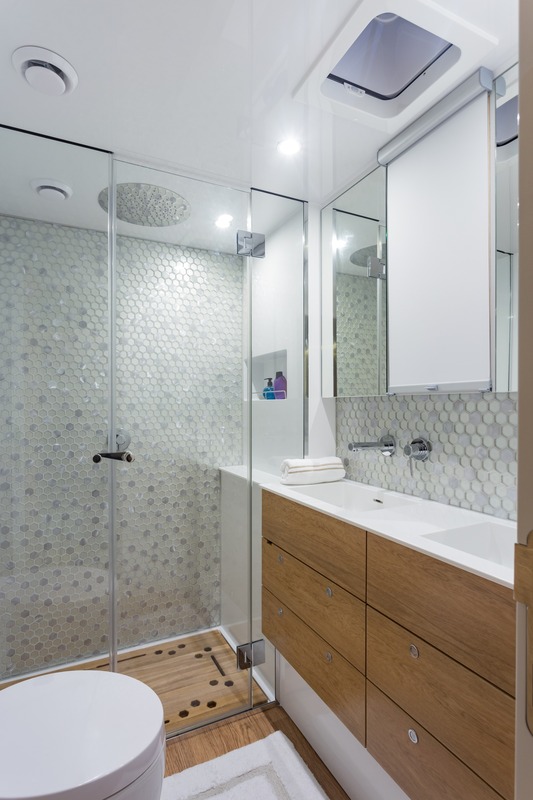 Each have generous en-suite bathrooms with elegantly arranged interiors that create a relaxing and soothing ambience. 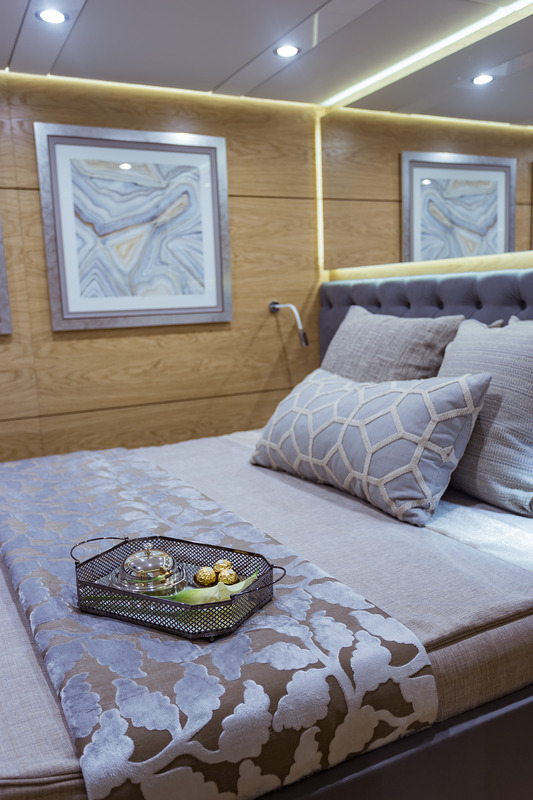 All cabins are furnished in a minimalistic way yet are comfortable and cosy. 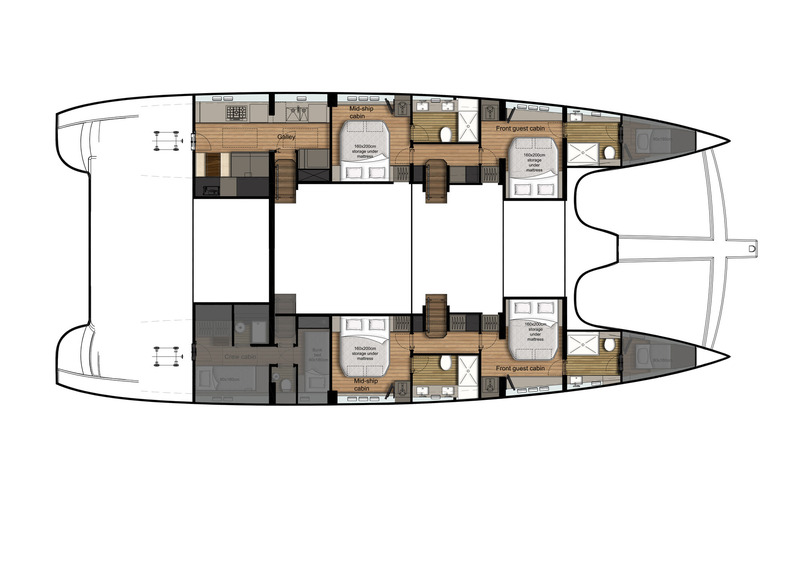 Diana is also capable of carrying 8 crew.